When students receive more financial aid than their University charges, the extra funds are paid to the student (or parent for PLUS loan) as a "refund". Financial aid, including loans, will be used first to pay student account charges. A refund will be issued only if there is a credit after charges are paid. Students should be financially prepared to meet any non-University expenses at the start of the term. Refunds may not be available until the start of classes. Students may receive several smaller refunds, rather than a single large refund. Refunds will depend on the status of the student's financial aid. Students may not receive their complete refund until two to six weeks after the start of the term. Students are responsible for paying any additional charges incurred after receiving their refund. Be sure there are no holds on your Student Account and your financial aid application is complete. 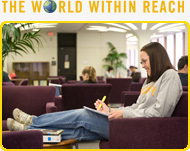 Regularly check and complete your MyUAlbany Important Items list. External scholarships should be mailed by mid-July to: Student Accounts, Campus Center G-26, University at Albany, Albany, NY 12222. Sign up for an "e-refund" on epay.albany.edu to transmit refunds electronically to a specified bank account. For students requiring funds for academic purchases, such as books and supplies, upon request University Auxiliary Services will advance up to $650 against your Student Account on a Podium account the first two weeks of each semester. Visit www.albany.edu/uas for details. Graduate students with a tuition scholarship should be registered for the total credits covered by the scholarship by July 8 (and December 1 for spring) and consult with the academic department to be sure your scholarship has been posted and paperwork forwarded to Human Resources.